PaisaPay is a fast an easy way of receiving payments through Credit Card and Online Bank transfer. Pay instantly using your credit card or make an online bank transfer to receive your eBay purchases faster, thus eliminating the hassle and delays related with other payment options like cheques, demand drafts, etc. PaisaPay offers you the highest standards of security currently available on the Web so as to ensure that your online payment experience is private, safe, and secure. Your Credit Card information is safe as it is protected using 128-bit VeriSign encryption, the highest safety standard. All the banks supported by eBay for online payment transfers also offer VeriSign certified, secure Net-banking environment. 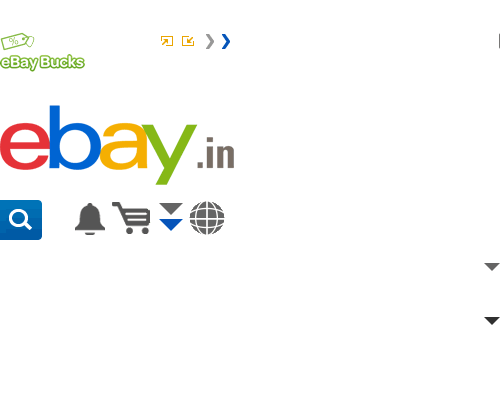 Payments made using PaisaPay are covered under eBay's Standard Purchase Protection Program. To add to the above, credit card purchases are generally protected by the respective card company. Learn more. Click here to see the list of cities supported by PaisaPay. Click on PaisaPay Account in the My Account section. You may be asked to sign into your eBay account once again. When payment for an order is received via PaisaPay you will see the icon highlighted against the order. You will also see a Yellow band with the PaisaPay ID number below the order. You should ship the product to the buyer only after the Rs. Icon is highlighted against the order as this confirms receipt of the payment. From your PaisaPay Account you can check all your PaisaPay Orders, your pending PaisaPay Account Balance, previous PaisaPay Balances and a lot more. Previous Balance - This is the summary of your PaisaPay account balance for the previous months. Payment Sent - This is the value of the last payment sent to you by eBay on Account of your PaisaPay transactions. Click on the Amount adjacent to the Current Balance to see the recent orders received.